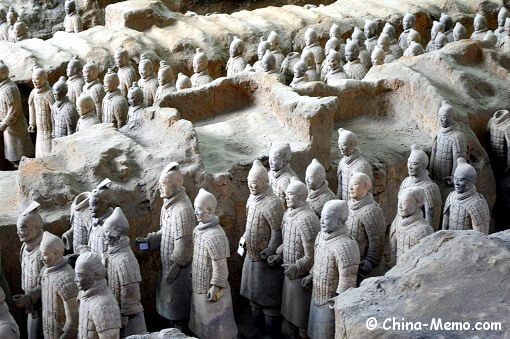 For anyone visit China, Xian Terracotta Army, also called Terracotta Warriors and Horses, is one of the key attractions and a must-see place in China. Scroll down to watch the video. 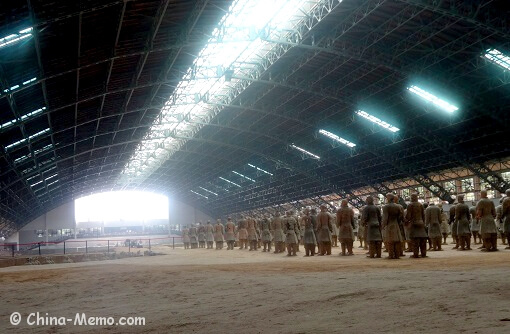 I visited Xian Terracotta Army (Warriors) in 2014 summer. Here are some pictures I took there plus the information about the army’s history, ticket, directions and details for visiting the site. 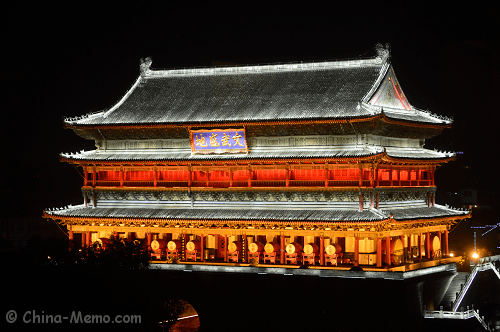 You may also read my two day experience in Xian for more attractions including: Xian Drum Tower, Muslim Food Street (Huifang Style Street), Xian City Wall and Dayan Pagoda North Square. 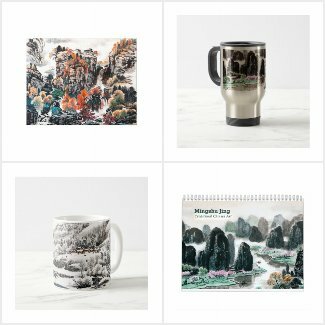 In Chinese, the XianTerracotta Army is called Emperor Qin Shihuang (秦始皇) Mausoleum, which is located in east of Lintong county, Mount Lishan. 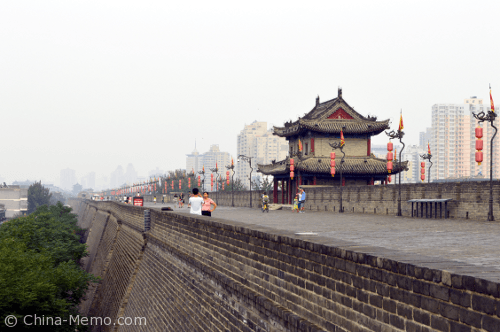 It is about 30km away from the ancient capital Xian. 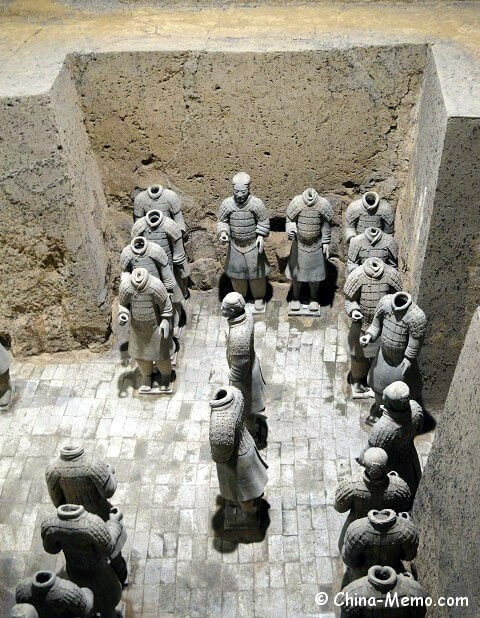 According to the historical records, Qin Shihuang started the work on it since he ascended the throne at 13 years old and took decades to finish it. It was built more than 2000 years ago. Little story behind. It is speculated that many treasures and sacrificial objects were buried to accompany the emperor when he died. 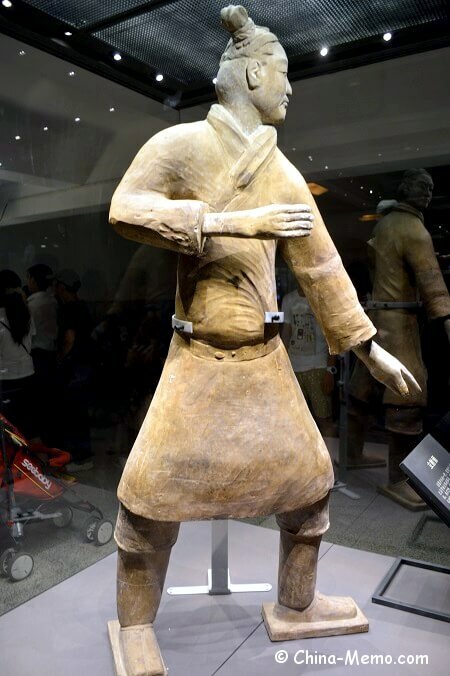 The story was even made into a movie called Fight And Love With A Terracotta Warrior. 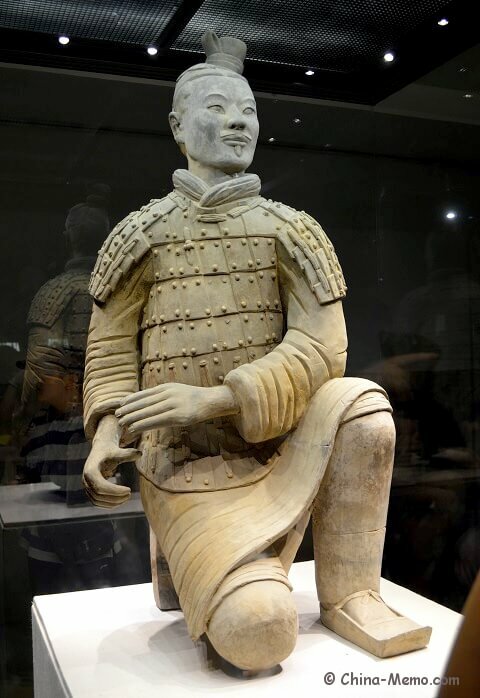 The movie includes the director Yimou Zhang and the famous Chinese actress li Gong, which tells a love story about the man was to be made into a terracotta warrior to guard the Qin Mausoleum. You can check this movie on Amazon via the link below. The large scale. It is said that in total there are over 7,000 pottery soldiers, horses, chariots, and even weapons have been discovered from the site. Most of these are life size soldiers and each of them has different facial expression. Is that amazing? 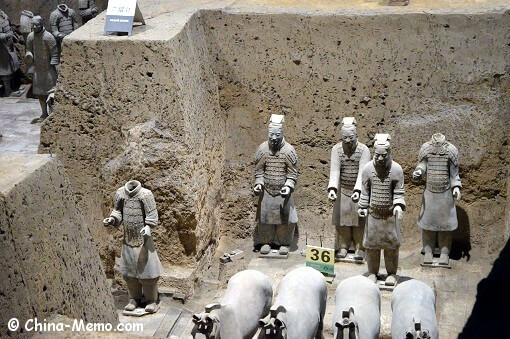 You can take the public transport, Bus (Line 5 / Bus 306) from Xi’an Train Station to Terracotta Army. 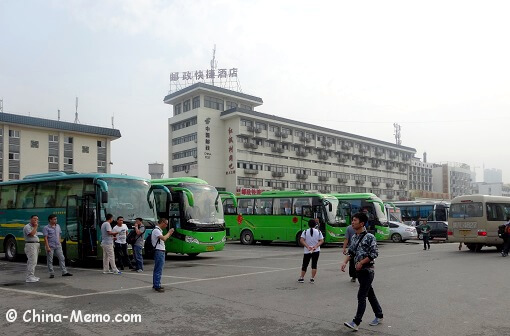 The bus passes Huaqing Hot Sprint, another famous tourist spot. The journey is about one hour, but long time may be spent on queuing for the bus, very very long queue if you go there in the summer morning. 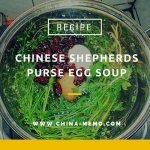 you can check my other post about Bus to Terracotta Army, where I put lots detailed information about how to get there by bus. Or click the photo below will direct you to the page. Ticket. 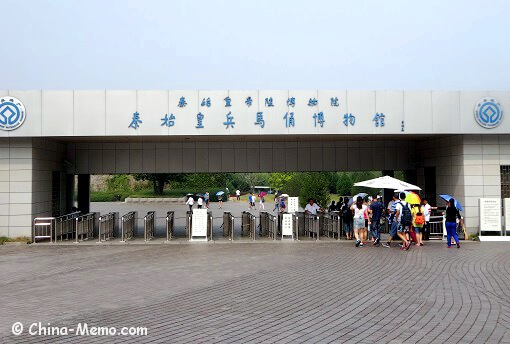 I visited it in 2014, the ticket price for one adult is CNY150, student and senior will have discount as long as you provide the student card or ID as the evidence. To get inside, there are two entrances to go. Near the ticket office, there are places to rent audio guide. There is another office at the right hand side of ticket office selling tickets to get inside by electrical car (cost CYN 5 only). You can see the gate is not far away from the ticket office. However, just to point out, this is the entrance for visitors who want to take the electrical car (long waiting time expected). There is another gate if you prefer to walk, but there was no clear sign to show the direction. You can just to follow the big crowd. 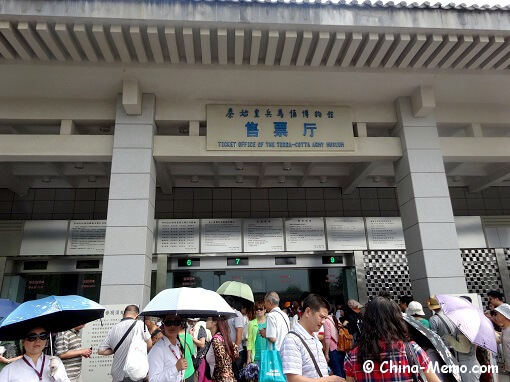 To that entrance, you will need to pass a long street selling souvenirs, which may take 15 -20 minutes to walk. 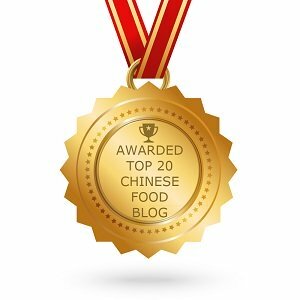 For talking the electrical car, you need to pay CNY5, which is not a problem. However, because there were so many visitors waiting, it was bit crowded and you almost cannot move. I went there in the summer time, so you can imagine that it was not a pleasant experience. We waited for almost half hour to get the electrical car. If I knew this, I’d choose to walk to another entrance. Taking the electrical car, it took about less than 10 minutes to reach the main entrance. 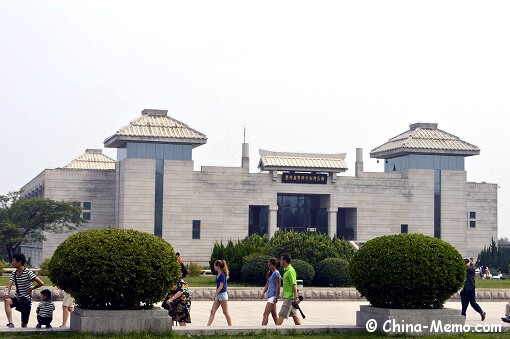 At last, here we are, the famous Xian Terracotta Army museum. 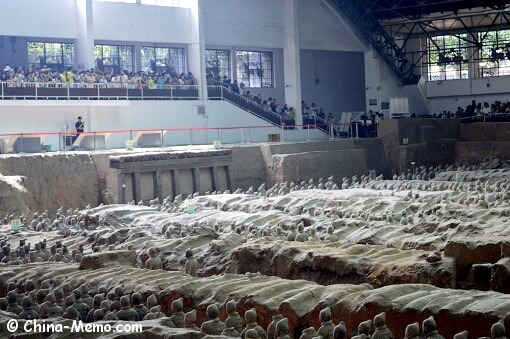 There are three tombs (pits) are open to the public. The one facing the main gate is the Pit No.1, which was discovered first in 1974. 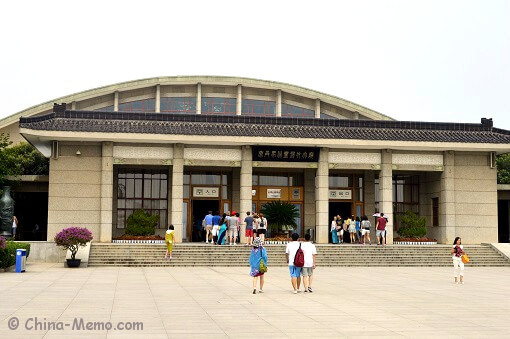 Once get inside, you will see the inside is like a big exhibition hall. Photography was allowed but not flash or tripod (correct for 2014). Once step in, you can look the army from a higher position, the view is quite spectacular. 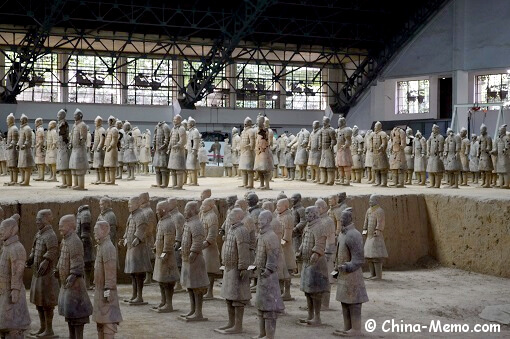 It was said that there are over 6,000 terracotta warriors and horses in Pit 1, of which 1,000 have been unearthed. The hall has provided the pit with good ventilation and daylight conditions. This is the view from the back of Pit 1. 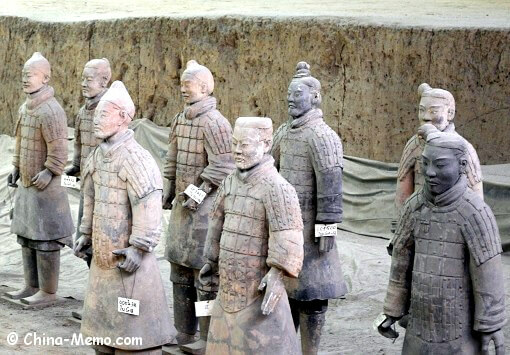 There are life size terracotta figures of warriors and horses. It is amazing that none of them look the same. Each soldier has the slightly different positions and facial expressions. The Pit No.2 appears more complex comparing to Pit No.1. 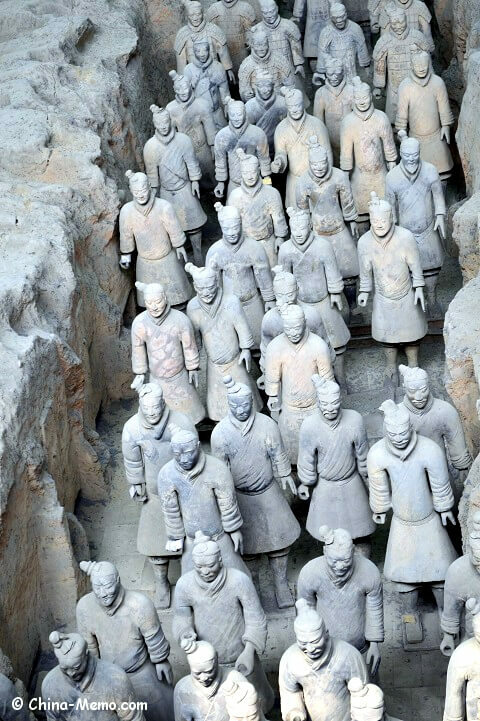 It is said that there are over 80 war chariots, about 1,300 terracotta warriors and horses, and thousands of bronze weapons. 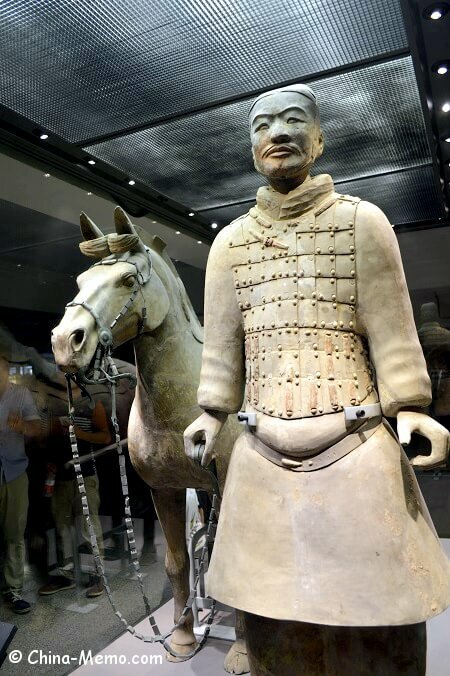 You can find some famous examples displayed in Pit No.2, such as the first discovered the terracotta general, the kneeling archer and the warrior with saddle horse in the pit. 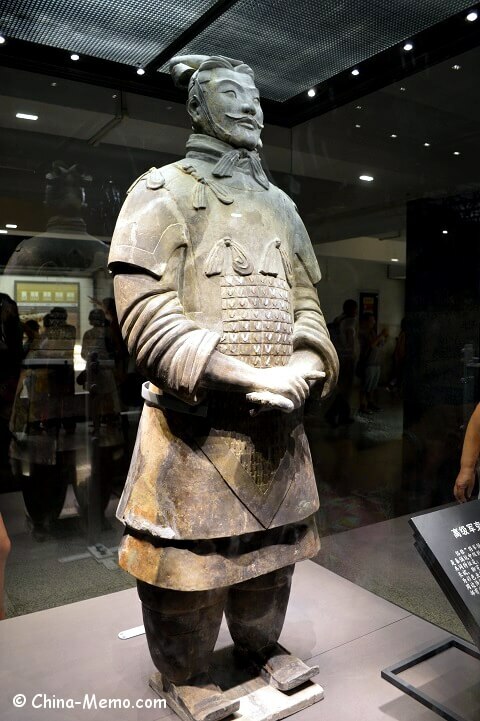 Here is the Xian Terracotta Army General. The soldier with a horse. You may notice in this Pit that there are many warriors do not have the heads. It is said that archaeologists believed that the heads were removed due to some people intended to destroy the warriors. Some of those heads were found in the nearby areas later on. 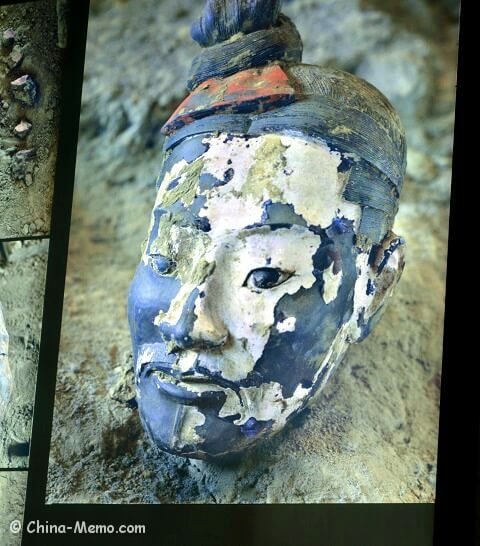 There was also a special picture showing a color painted head of the terracotta army. I wondered what was the story behind. 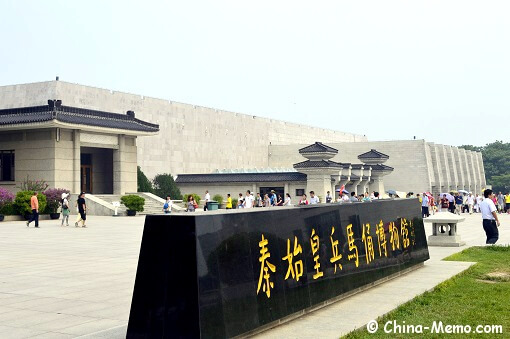 Apart from the three pits, there is also a museum, which displays the horse carriage and horses. 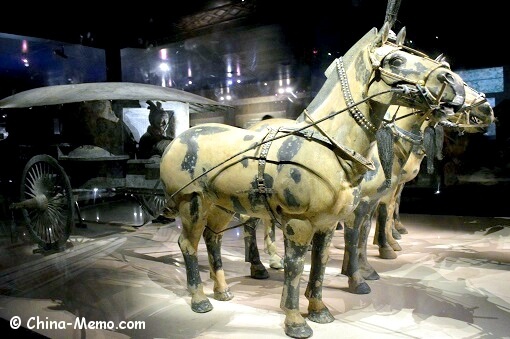 The Bronze Chariot and Horses, which are in half size scale-models of real chariots and horses. Summary. 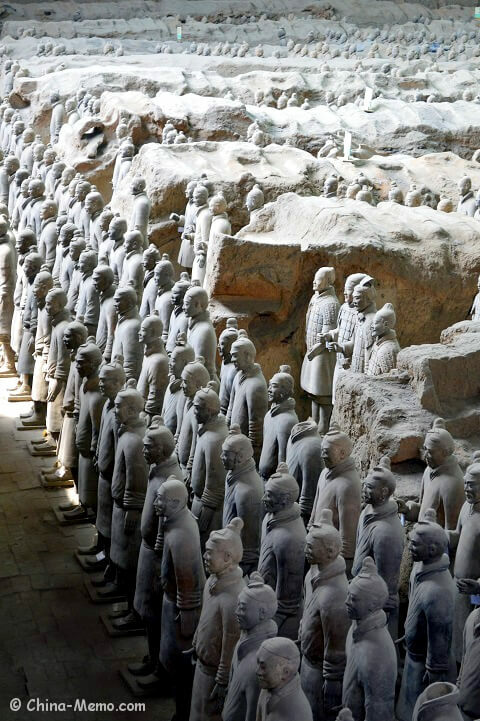 As a key attraction in China, Xian Terracotta Army is definitely worth seeing, particularly if you are into history, culture and art. The time needed, half day at least. I have edited a video taken from there, which is also posted on my Youtube channel. You may subscribe to my channel and get the regular update.